Here’s Victoria Winters, girl governess — lost in time, on the run, and fast asleep. In her dream, young Daniel Collins is strangled by his new brother-in-law, Nathan, and she wakes up in a panic, absolutely convinced that means Nathan is planning to kill Daniel. As it happens, Nathan actually is planning to kill Daniel, so that’s just cheating. Maybe Vicki really is a witch after all. I mean, I’m okay with the lunatic plot contrivances — this is Dark Shadows, after all — but I don’t think it’s fair for a character to just randomly get a telegram directly from the writers like that. This is a soap opera; 80% of the show is about keeping secrets. If the characters have access to some kind of spirit-world episode guide, then things are going to get out of hand. But I guess the rules are a little different for Vicki. She’s a time traveler, stranded 170 years from home, and she’s spent the last several months just trampling on every butterfly she can find. She’s been trying to rewrite all the sad parts of the Collins family history, armed with a magic marker and an inadequate sense of responsibility. She is absolutely determined to wreck the timeline, one way or another. This kind of thing almost always leads to a future where the South won the Civil War, and Winston Churchill was a vampire. So she’s been issuing regular warnings, trying to avert the many tragic deaths that seem to crop up within a five-mile radius of wherever Victoria Winters happens to be. They haven’t worked, as far as we can tell — everybody seems to be dying right on schedule, one after another — but all of a sudden, she’s concerned about paradoxes. Vicki: The book has got to be wrong about Daniel. Peter: The book — you mean, the Collins family history? Does the book predict Daniel’s murder? Vicki: No! It says that he’ll live to grow up, and he’ll marry a girl from Collinsport, and carry on the family name. Vicki: No! It was wrong about Barnabas. It said he went to England, but he didn’t, he died here! And it was wrong about Millicent, too — it said she’d never marry, and she married Lieutenant Forbes. Now, the audience actually knows the reason for the discrepancy in the historical record about Barnabas — he’s a vampire, and his father told everyone that he “went to England,” in the same spirit that you’d tell a small child that a deceased pet had gone to live on a farm somewhere. But Millicent’s marriage actually does seem to be a change to history, so that potentially opens up some space where the timeline might be veering off course. Given past performance, this is probably Vicki’s fault. So let’s hear some more of the logic behind Vicki’s war on causality. Peter: Vicki, you still have no way of proving that the book is wrong about Daniel. Vicki: My premonition is enough. I know he’s in danger! Peter: Why would Forbes want to kill Daniel? Vicki: I haven’t got time to think of reasons! But he is in danger! 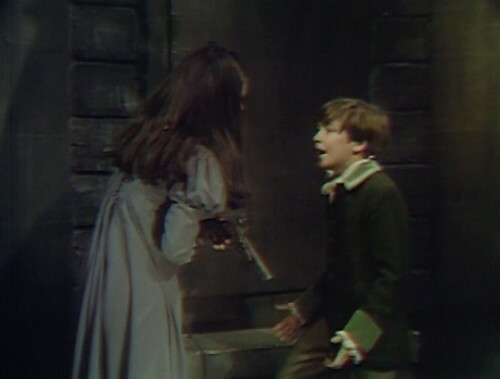 We’ve got to help him, we’ve got to get to Collinwood! PS: This is the girl that Peter’s decided he wants to commit felonies for. They’re in a secret room with no windows right now; maybe the air’s getting a little thin. They might want to conserve oxygen by sitting down and not talking. But then, after four months of recklessly kicking at the space-time continuum, the penny drops. Vicki: Peter… if something isn’t done, it could change a vital part of the Collins family history! Vicki: If something happens to Daniel — if he doesn’t live to carry on the future of the Collins family — then the family of the future, where I came from, that will die too! Which is finally, at long last, the one smart thing that she’s said this whole time. She’s finally realized that the future is in danger, just in time to decide that it’s somebody else’s fault. So this is an important turning point in Dark Shadows history, too — the moment that the show stops treating time travelers as tourists, and starts treating them like activists. The writers and producers don’t quite realize it yet, but Dark Shadows is going to be a show about time travel from now on. Vicki’s heading back to the future by the end of next week, and it would be easy at that point just to pick up the story from where they left it, back in episode 365. But this side trip to 1795 has been even more story-productive than they could have imagined. The larger-than-life characters that they’ve created — especially Angelique, Ben and Reverend Trask — they’re too good to leave behind. So we’re going to see a lot of the 18th century characters again in 1968, in all kinds of forms — as ghosts, dreams, descendants and reincarnations, or as actual time travelers themselves. And when that all runs out of steam, they’ll cue up another trip through time, and then another and another. In the last fifty-two weeks of the show, they only spend seven weeks in the present day — the rest is spent in the past, in the future or in an alternate timeline. This wild new idea that they’ve been trying out ends up defining the narrative structure of the show. That’s the reason why she came to Collinwood in the first place, to discover the truth about her own past. The show never really got around to helping her figure that out, because they kept finding other parts of the past to explore. The gothic novels that originally inspired the show — Jane Eyre, Wuthering Heights — are all about shameful secrets from the past, intruding on the present. 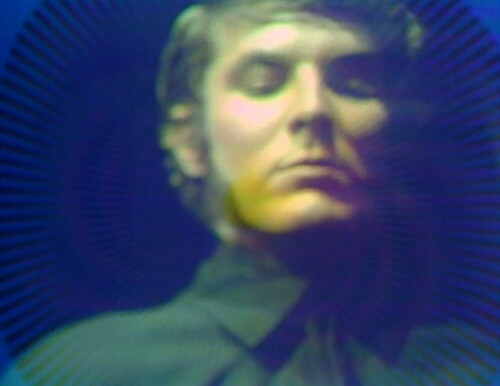 So Dark Shadows has always had the same three obsessions — death, time and architecture — and the only thing that really changes is that the time travel becomes literal. But on this first try, they haven’t quite figured out the point of traveling through time until now. Vicki came to the 18th century as a tourist, with no particular agenda. She’s tried to warn people about what was coming, but she didn’t think at all about how her intervention would affect the present-day Collins family that she knows. This was a vacation, not an away mission. That approach ends here. From now on, journeys through time will always have a goal. There’s information that the characters want to find out, or a crisis to avert. There will always be a focus on how the journey through time will impact the 1960s family. So the time travelers become special agents. That means that Vicki can’t be the one making the trip anymore; she’s just not smart enough to be a secret agent. She’s failed at every single thing she’s tried to do in 1795, because she can’t keep her mouth shut and she hasn’t got time to think of reasons. From now on, it’s mostly Barnabas who’s assigned to the missions, or a member of his inner circle — infiltrating the past like spies and saboteurs, with code names and cover stories. In the Dark Shadows universe, history isn’t fixed. The characters need to fix it. So it’s time to bring Vicki back to base, debrief her, and get to work. Tomorrow: Food and Medicine and a Plan. I fixed this in the quote above, but what Vicki actually says is, “If something happened to David,” instead of Daniel. Nathan: You were supposed to be here at one o’clock. Noah: I told you, I had to meet one of the girls at the Eagle. When Peter leaves the secret room in the mausoleum, the door stops closing a few inches before it’s shut. Then it moves some more, but doesn’t quite close completely. And once again, actors have no idea what to do with a gun. 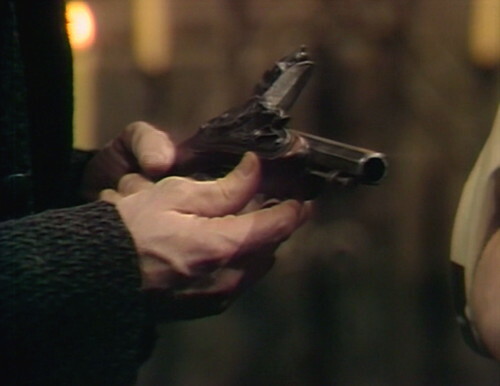 When Daniel comes into the secret room, Vicki points the loaded gun right at him. Compelling read, as always, Danny, but isn’t Nathan Daniel’s brother-in-law (and not step-brother)? That was nitpicky. I shall go back to my seance for wayward girl governesses. D’oh! You’re right, thanks for correcting me on that. I’ll fix it. I was thinking the same thing, Mark. Grammar-Nazi teacher tries to hide in DS discussions, though. I was reading about an ambitious undertaking that one fan had experimented with: actually watching the show in chronological time order. It sounded like a pretty complicated project trying to plot the timelines from the series as initially broadcast and then go through and ‘rearrange’ each episode to line up in order of the actual years the storyline took place and watch the show in that order (i.e. 1692, 1795, 1840, 1897, 1960’s, 1970’s and 1995 …) to see how events play out and try to pull together the entire history of characters and events from that perspective. So how did that turn out? Anything interesting turn up? I’m watching as shown on TV, which seems to be the correct order for an initial viewing. If I had already been through all of the episodes, rearranging them time-wise might be a time-consuming amusement I would enjoy. You think Vicky was bad about changing history? Wait till you see Barnabas in 1897. It is a miracle that he did not get back to a present where humanity was enslaved by a giant giraffe. 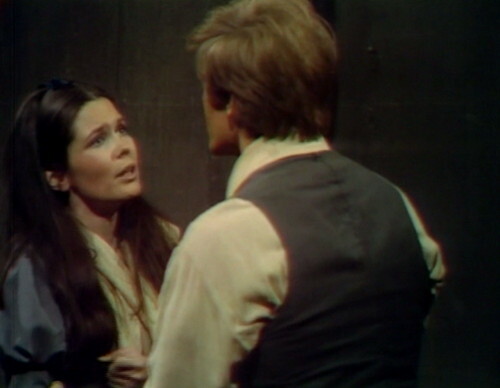 SER: Vicki, I want you to sit down and think very carefully about what you just said: Barnabas didn’t go to England. He died in Collinsport. So that must mean that the Barnabas you know in the present day no longer exists. Time was changed. SER: Or it’s possible that when someone said something about a curse, it might be in reference to the Barnabas who just died. SER: You’re also hiding out in the secret room of the mausoleum that David Collins claimed existed but no one believed him. SER: OK, I’m just gonna lie down for a while. My head is killing me. I guess you just have to keep trying. Every once in a while, something gets through. I like activist time travelers better, although it’s a funny time and reason to make the realization with. After all the way Barnabas “went to England” Millicent could have “never married” especially if Nathan dies soon. Plus Peter seems awfully convinced to believe in this book, not in a I’ve got to swallow this stupidity to get the girl kind of way, but in an I actually believe it and am going to place larger wagers on the results kind of way. I’m convinced Vicki is just a stand-in for Phyllis, whom Peter fell for and who saved Daniel’s life, and she changed nothing. JMO. Great blog by the way, I’m trying to read a week at a time so I can catch up. You bring a new appreciation to one of my favourite shows. Episodes ago one astute commenter on here pointed out how handsy Peter is with Vicki and ever since I haven’t been able to ignore it when he’s on screen. But today takes the cake. Yes, Vicki woke up from a nightmare/vision but she’s not having a massive stroke; she doesn’t need to be restrained. And after the break she’s standing and he’s still got her by both arms! He might as well just put her in a headlock and drag her around Collinsport. Ugh, and his acting. Peter stinks. I love the bit where they are coming out of the old house and he puts his arm around her and she grabs it with her hand as though to make sure it doesn’t wander anywhere. Has Vicki’s shoulder wound been given treatment? The way Peter is hauling her around, she should be screaming in pain! Has anyone compiled a list of all the “Dumb Things Vicki Says” yet? And no, I do NOT mean everything Vicki says, just the dumb(est) stuff. I love that idea. I wish someone would come up with that list. Ben is the only one who treats Vicki’s wound but also the only one who gets her to wince. so much brilliance today, Mr. Horn. “trampling on every butterfly she can find. She’s been trying to rewrite all the sad parts of the Collins family history, armed with a magic marker and an inadequate sense of responsibility.” exquisite and succinct. then there’s the far sighted paragraphs about time travelers becoming special agents, moving from tourists to activists, that end with: “From now on, it’s mostly Barnabas who’s assigned to the missions, or a member of his inner circle — infiltrating the past like spies and saboteurs, with code names and cover stories.” like pulling the rug from under a deck of imbalanced cards. shattering clarity imbued with whimsy. i’m ever so impressed. p.s. Stephen Robinson, your comments rock. i loved today’s imagined dialogue. Both Naomi and Vicki slip up and call Daniel “David.” But only Vicki has the excuse that she knows David and could reasonably mix up the look-a-like boys. Naomi does not know David, so her error is more glaring.